So there it is. 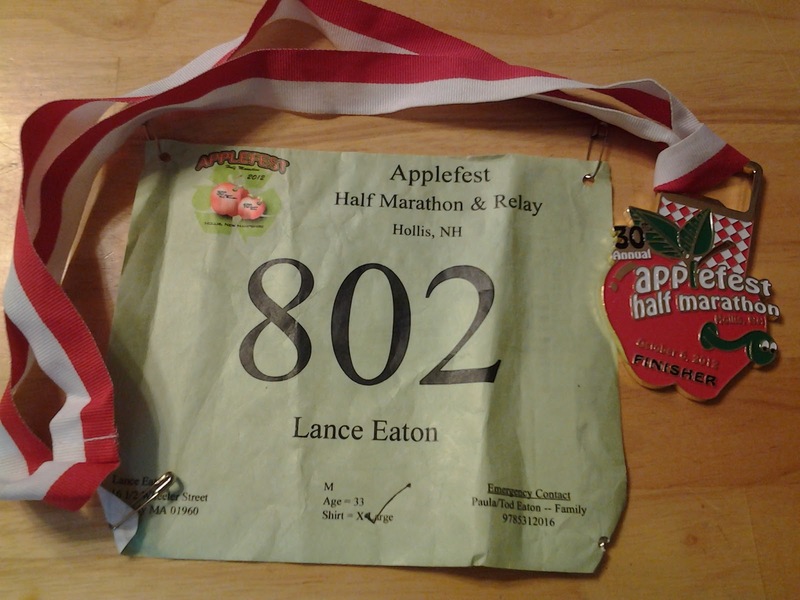 My half-marathon. Done. Accomplished. 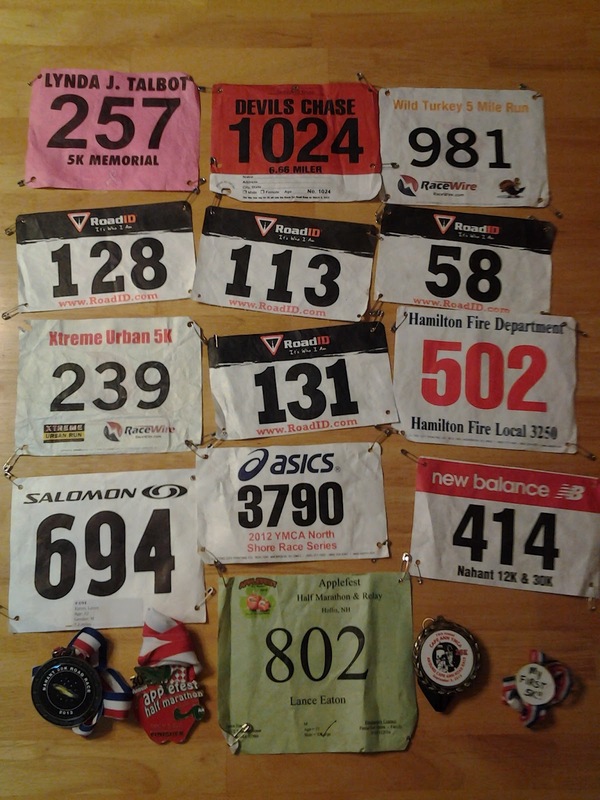 Just over a year from the first road race I've every completed. 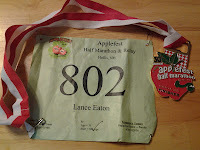 And it's not that I was worried about doing it--after all, I had the 30K and the 25K behind me. Getting it done wasn't a fait accompli but I was definitely confident about my performance. I told myself that I would definitely shave some minutes off my time. I was setting a low time of 2:20 and a high time of 2:15. Neither were hit. 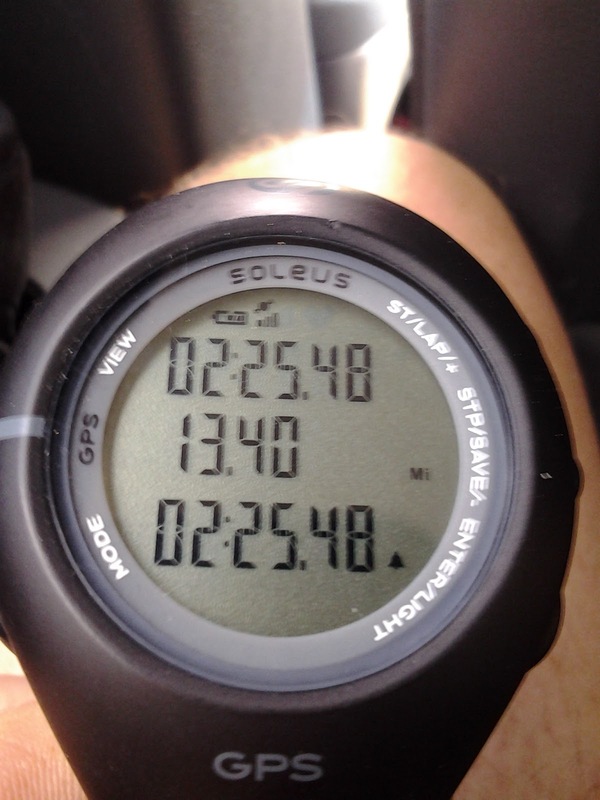 I came in at just under 2:26 which was 11:08 miles. In terms of timing, I did better with the 25K with 11:01 miles. So clearly, I was wrong. I didn't train as best I could over the last month. There's truth in this. Every week I could have fit in one more run, but told myself I was too busy to do so (despite knowing how much good it does me--even when I'm busy). I jumped out of the gate too soon. Again, there's viability here. 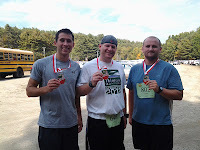 This is the first race I ran with friends. They were kind in slowing themselves down to stick with me, but regardless, it still pushed me a bit too hard when I might not have otherwise. This has been great on the short runs. One friend has been awesome at getting me to produce better times. However, here, I let their presence distract me from what I knew I needed to do and how I needed to pace (And if they're reading this; I'm not blaming you in any way--you guys were great support--I just should have given myself better direction). It's too much to expect. After all, it was barely a month since the first run. Definitely a realistic thing to consider. A part of me says "yeah, but you still should have" and it battles with the other part of me that says, "Shut up, ya did it. You can work towards a better time in the future!" With all of these courses, they have been completely new to me. I've not run them before and have no idea what to expect. The runs I do in my neighborhood, I know without thought. 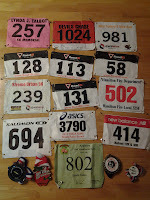 I've walked, ran, biked, and driven them hundreds of times over the last 30 years. These routes are entirely new to me as a runner (and often even a driver--I've never driven around Nahant, Hollis, or Gloucester--or at least the degree to which we ran around Gloucester). That in itself presents challenges because I really don't know what's around any given corner nor can I accurately predict the "end". But all of that is speculative and not really why I didn't do better. In hindsight, I failed the mind game. My body is clearly capable for the running. I've done and continue to do it. But I didn't prepare myself well enough for the mind game of running. The mind game (for me) seems to creep in somewhere around mile 8 (if it's a longer run; if I'm running 9-10 miles; it doesn't register). It's the point at which I'm battling the impulse (and yes, it is an impulse) to stop with the desire to keep running. It's true that by mile 10, I need to stop and stretch my legs and my feet need some rest to keep circulation going smoothly. But with that stop comes the mental demands for more stops. The rest of the race is a tug of war between wanting to finish and wanting to walk. In part, I lost this battle in this run. I stopped and stretched, but didn't let myself become re-absorbed with running. Instead, I continued to stop every mile or so therein and rest, walk and stumble back into running. I lacked strategy. I understand my body needs rest, but I also know this was more of my mind deciding to stop. This is the inner battle of (this) runner. It's clear I was never able to slip back into the mindset as I was unable to smile or cry. It's something I need to be more prepared for and ready to overcome. After all, if I need evidence that I can in fact do these, I've now got 3 medals saying I can and did. The question remains now: when does Lance do a marathon? I think that option's out for the fall and winter season. However, as I've said if the winter is mild and I can keep my running up. I may think about it next summer or fall.